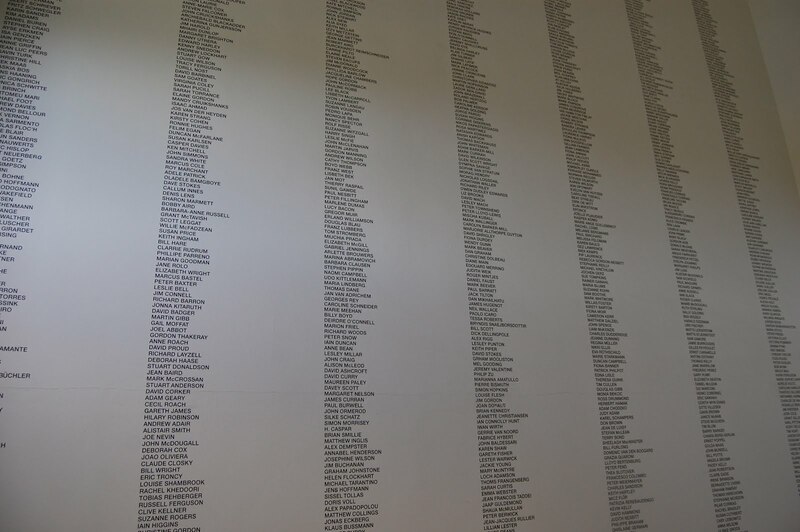 Douglas Gordon, List of Names (Random), 1990–ongoing, on view at the Scottish National Gallery of Modern Art, Edinburgh, in 2010. The work is a list of every person that the artist can recall meeting. It continues to grow.